Each summer the Town Council promotes Bands on the Green, free open air concerts. 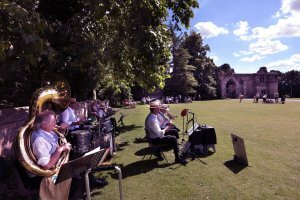 Bands vary but are generally playing from 2.30 - 4.30pm on Sundays on the green outside Thomas A Becket Church. Refreshments can be purchased from the Church, however you are requested to bring along your own chairs.